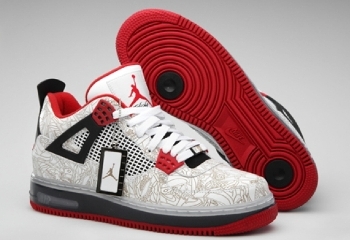 The Air Jordan IV created a huge buzz in the market when it was released in 2005 because it was the first Jordan shoe that featured a laser-etched design that attracted a lot of sneaker-lover during that year. And this year, the Jordan Brand is looking to excite again and make another huge noise before the end of the year with the release of the new AJF 4 Premier retro on 27 December. Nicknamed as the “White Laser”, the new AJF4 Premier will feature the same design as the original edition of the shoes, featuring a translucent midsole similar to the original Air Jordan IV. The new edition of one of Jordan shoes’ best-sellers will be released in White/Varsity Red-Black colour this weekend, and is expected to be an instant hit in the market this month.